This phrase is one of the most frequently cited and most frequently misused quotes by United Methodists. The phrase is typically used to argue that doctrinal agreement is unimportant compared to loving one another. It is the go-to quote for Methodists who argue that Wesley was not interested in correct beliefs. However, I am convinced that most people who use this quote have not actually read much of John Wesley, much less this sermon. But although a difference in opinions or modes of worship may prevent an entire external union, yet need it prevent our union in affection? Though we can’t think alike, may we not love alike? May we not be of one heart, though we are not of one opinion? Without all doubt we may. Herein all the children of God may unite, notwithstanding these smaller differences. These remaining as they are, they may forward one another in love and in good works. In answering the first question, “Is thine heart right, as my heart is with thy heart?” Wesley argues that differences of opinion are unavoidable. More interestingly, he argues that everyone thinks all of their opinions are true, but also knows that he is likely wrong about some of the things that he believes, “He knows in the general that he himself is mistaken; although in what particulars he mistakes he does not, perhaps cannot, know.” In essence, Wesley is arguing for epistemic humility. He wants people to acknowledge that as strongly as they hold their opinions, they could be wrong. Wesley then turns to the various ways that people worship God. Wesley argues that, “everyone must follow the dictates of his own conscience in simplicity and godly sincerity.” And again, Wesley argues for a tolerance of a diversity of practice when it comes to different denominations, and different practices of the sacrament. Is thy heart right with God? Dost thou believe his being, and his perfections? His eternity, immensity, wisdom, power; his justice, mercy, and truth? And that he governs even the most minute, even the most noxious, to his own glory, and the good of them that love him? Dost thou believe in the Lord Jesus Christ, ‘God over all, blessed for ever’? Is he ‘revealed in’ thy soul? “Having absolutely disclaimed all thy own works, thy own righteousness, hast thou ‘submitted thyself unto the righteousness of God’, ‘which is by faith in Christ Jesus’? Is God the centre of thy soul? The sum of all thy desires? Art thou more afraid of displeasing God than either of death or hell? Is nothing so terrible to thee as the thought of ‘offending the eyes of his glory’? Upon this ground dost thou ‘hate all evil ways’, every transgression of his holy and perfect law? The list of questions continues. Here, there are two things to notice. 1) Wesley is not dismissing either the importance of beliefs or of action. He actually seems very concerned to vet the person he is considering joining hands with, asking them a litany of questions. He is not shrugging his shoulders and saying, “I guess your truth is just different than my truth.” 2) The list of questions is filled with doctrinal assumptions! Among other things, the questions about the first person of the Trinity ask the person to affirm the classical understanding of the perfections of God. The questions about Jesus require the person to affirm the divinity of Christ, the necessity of justification by faith, and the new birth. There is at least an implicit affirmation of original sin and there is an assumption of agreement on hating sin and being determined to avoid transgression of his holy and perfect law. People often read this sermon to suggest that Wesley thinks people with different understandings of sin should just agree to love each other. I’m not sure that pays sufficient attention to what Wesley is actually saying in this sermon. Another way of saying this is that I don’t think Wesley’s understanding of “opinions” would have included disagreements about sin. Wesley was a man of his time and thought that sin was clearly spelled out in scripture. Love him not in word only, but in deed and in truth. Finally, Wesley turns his attention in the last part of the sermon to his understanding of a “catholic spirit.” Interesting he begins, “There is scarce any expression which has been more grossly misunderstood and more dangerously misapplied than this.” He then offers three statements of what a catholic spirit is not. Observe this, you who know not what spirit ye are of, who call yourselves men of a catholic spirit only because you are of a muddy understanding; because your mind is all in a mist; because you have no settled, consistent principles, but are for jumbling all opinions together. Be convinced that you have quite missed your way: you know not where you are. You think you are got into the very spirit of Christ, when in truth you are nearer the spirit of antichrist. God first and learn the first elements of the gospel of Christ, and then shall you learn to be of a truly catholic spirit. Second, a catholic spirit is not “practical latitudinarianism” or an indifference to public worship and the way it is conducted. 1) Wesley is making the case for charity and a hermeneutic of generosity towards others. He is realistic in his acknowledgement that people will not agree about everything. I also suspect that he takes the call to love one another more seriously than most people who appeal to this sermon do. (I.e., do we really love those we disagree with like they are our brothers and sisters, or best friends? Do we spend serious time on our knees in prayer for them, begging God to bless them and pour himself into their lives in new ways?) The sermon reminds me of the room for growth I have in loving those with whom I disagree. And it reminds me that it takes work, it is not something to merely be vaguely affirmed. 2) I don’t think this sermon supports the “Open Hearts, Open Minds, Open Doors” motto that some love and some love to hate. Saying that Wesley is arguing for open-mindedness in this sermon is much too simplistic. He is actually saying that Christians should be close-minded in their own beliefs, but generous and charitable with those with whom they disagree. 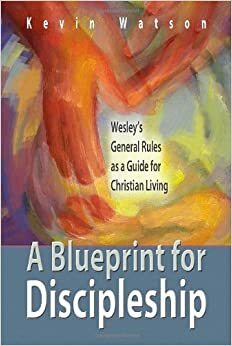 Put differently, Wesley is arguing for certainty in the specifics of one’s faith that comes from careful thought and examination of the options and not a devaluing of the role of doctrine in order to have a bigger tent. 3) Speaking of big tents. My reading of this sermon is that Wesley would find a big tent vision for Methodism a liability and not an asset. For example, when he acknowledges disagreements about the sacraments, he does not seem to me to be arguing that the folks who disagree should try to worship in the same church. On the contrary, he seems to assume that they would not be a part of the same faith community, but they could still be a part of the church catholic. It makes me wonder if Wesley might view our experiment at unity within diversity as an attempt for one church to be the whole church catholic and if he might think that attempt itself lacked both humility and sense, particularly because we are so obviously not a full expression of the church catholic. 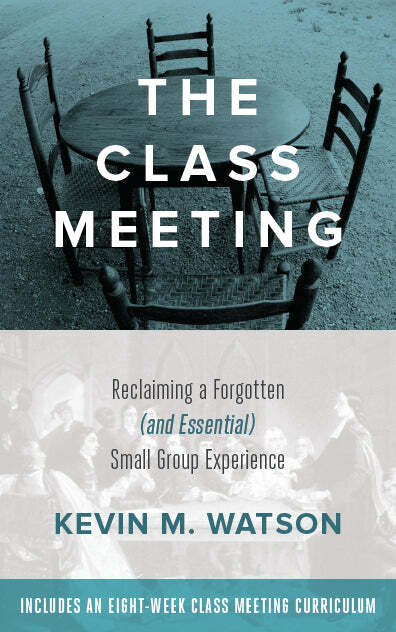 A cursory reading of Wesley’s letters, for example, will provide multiple examples of Wesley defining which beliefs are acceptable within the movement he was the leader of and which ones meant that mutual cooperation was no longer possible. Wesley regularly enforced doctrinal/dogmatic uniformity among early Methodist preachers. Ultimately, while it is probably technically true that contemporary Methodists do believe just about anything, I do not think one can use this sermon as justification for either deemphasizing doctrinal commitments or for a community of faith that lacks clarity about what its own vision for what faithfulness looks like.